THE 2017 Philippine Ice Hockey Tournament (PHIT) kicked off on Wednesday, forming part of the preparation for the national team to the Southeast Asian Games. The Philippine team has been split into two teams for the competition that will run until Saturday at the SM Megamall Skating Rink where one team will play against five other teams in the international open category. The other Philippine squad, on the other hand, will play in the international 35+ category against three other teams. The national squad also competed in the SEA Challenge in SM Skating - Seaside City Cebu recently. 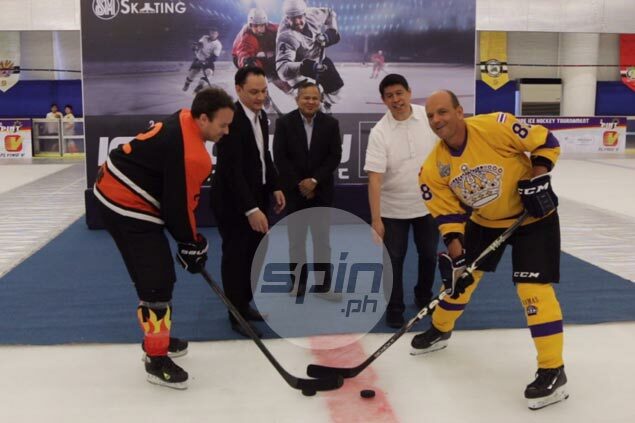 "Apart from continuing the drive for ice sports awareness in the country, the Philippine Ice Hockey Tournament and the recently concluded 2017 SEA Challenge is a great avenue to prepare our national teams for the upcoming 2017 SEA Games," said SM Lifestyle Entertainment Inc. president Edgar Tejerero. Federation of Ice Hockey League president Christopher Sy said the tournament is in its third edition, but officials decided to move the event to an earlier date. "We started in 2015 and we invited a lot of teams from other countries to prepare the Philippine team to the SEA Games," said Sy. "Usually, because we do the PIHT in November, we moved it to June to prepare for the SEA Games in August," he added. The championship game of the tournament will be held on Saturday afternoon.